Texan Girl Talks: Hello Fall! 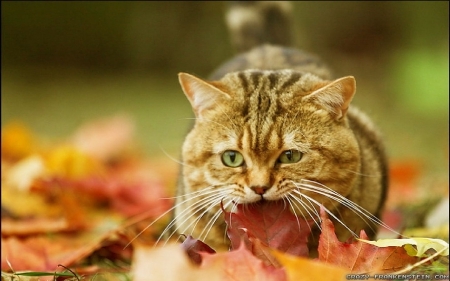 So yesterday was the Autumnal Equinox, which means Fall is here!!! A year ago I would have been this suburban white girl... I'm really still this girl, just with a different scarf on. 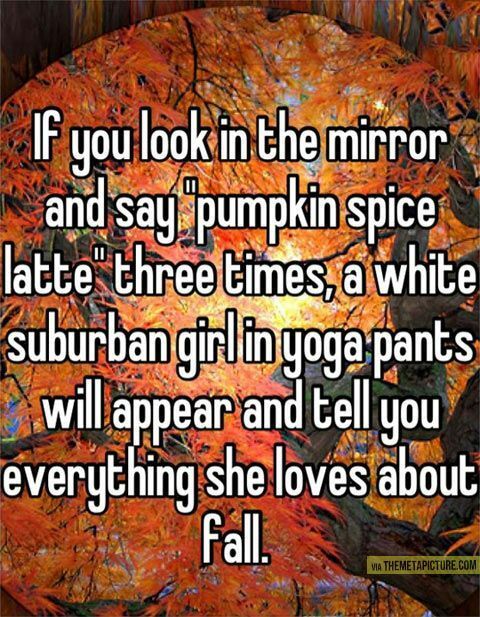 Well I have no scarf on, I live in California, but you get my point..
Mostly, I love the changing of seasons. For me, it gives a new meaning to a different stage of life. It means the nights are much longer and the days are a little crisper. Spirits are a little livelier. All the holidays are right around the corner, a time for all the people you love to get together to make memories you'll remember for years to come. With the changing of seasons means that you, yourself have changed. Whether you'd like to believe it or not, you might be a little wiser, a little more patient with others or yourself. You might be a little stronger than the one before, be closer to some people or be a littler further from others. It happens. Seasons change and so does life. Living for today is a concept we often forget. Get what you can get done today and what you can do tomorrow, do tomorrow. Spend a little more time with people you love today. Spend a little more time calling someone, rather than a text message. You won't regret it one bit. I know I don't. I don't know if i'm wiser or paying more attention (probably the latter), but I do know that the season i'm in is the one I need to be in right now. Just some meanderings about the change of seasons. 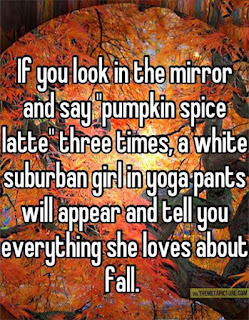 . .
And you thought this post was going to be about the infamous PSL.